Marketing is a lot like dating — lots of back and forth and awkward interactions until a match is finally made! Sometimes you may strike out, but once there’s a spark, it can be the beginning of a beautiful relationship. Remarketing is like going on a second date. You already know they’re interested in you, but what you’re looking for in the next couple of engagements is whether or not they’re willing to commit. At the end of 2017, Wordstream ran a study and found that remarketing helped them increase repeat visitors by 50%, boost conversions by 51%, and increase onsite time by 300%. A very good and easy way to increase your visibility is by sliding into your user’s inboxes. Thanks to Google Customer Match, you can actually display an ad above a user’s inbox. These banners can be personalized and, because of the ad placement, you are guaranteed visibility. Another path to success is by using an email remarketing strategy to drive engagement and increase sales! A classic, yet effective example of this is to send users their abandoned cart with a message prompting them to complete the checkout process. This campaign is a digital marketing agency favorite because when eCommerce leads are retargeted, they’re likely to spend 55% more! Use the subject line to pique your users’ interest with a message of urgency. Let them know the big blowout sale is about to end, or inform them that there are only a couple of pairs of their favorite shoes left in stock. If you need inspiration, Hotels.com is a company that does this really well. They always let users know how many hotel rooms are left or if other users are looking at the same listings. 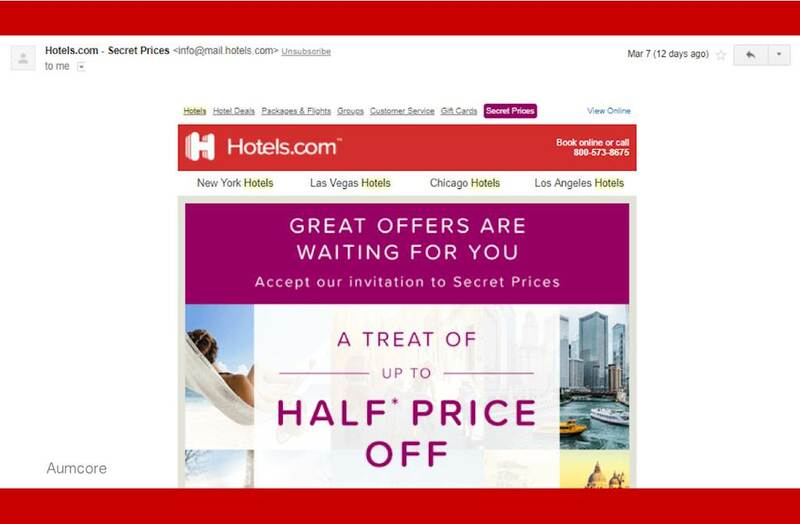 When users leave without making a reservation, hotels.com will send them an email with subject lines saying things like Last Chance to Book or Tonight Only: Save 50%. They also give away great deals to email subscribers to help motivate them book again. Use your email remarketing strategy as a way to let users know they need to take action now! Did you know that 96% of users who visit a website leave before converting? It actually takes 49% of users a second or third visit to your company’s website before they complete the checkout process. Unfortunately, love at first sight is just as rare online as it is in person. What marketers can do is target those users to generate more qualified leads. PPC services have become increasingly more popular as business owners realize the power of remarketing. One of the most popular ways is to use Standard Google Ad Retargeting. This is when Google displays your banner ads to users who have already visited your website and who also left without converting. This digital marketing technique is a powerful business tool because it helps users become more familiar with your brand. This is your second date; they know you and you know them — you’re both just feeling out if it’s a good fit. It’s a win-win- win situation. 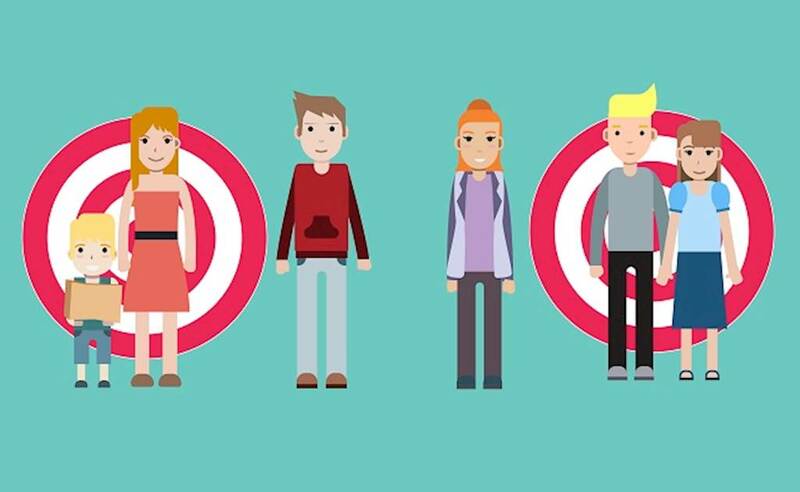 If you’re looking to go above and beyond with your retargeting campaign, Byron’s insider tip is to segment your audience by traffic source and onsite behavior. To do this, go to Google Analytics > Audience Definitions > Audiences > Create New Audience. Take your core audience out on a second date by using Google’s PPC services to kick things off. Aumcore found running these campaigns extremely useful and also discovered that, when hit with remarketed display banner ads, their CTR increased by two to three times! 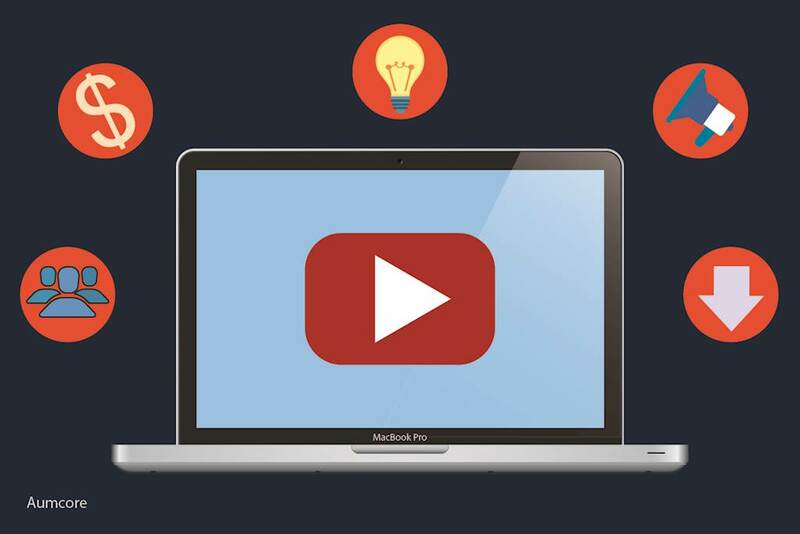 You can also use Customer Match to advertise to users on YouTube. With video advertisements growing in popularity, you may want to consider creating a short 10-30 second snippet about your brand. Show off your new products or give users an inside peek into your company’s culture. Behind the scenes shots are always a digital agency go-to because they make users feel special. An important thing to note when crafting your video remarketing strategy is to have consistent messaging. Since this is your second or third go around with your users, you want to be clear about your intentions. Author: Therese Palmere is a content writer at Aumcore, a digital marketing agency based in New York City. While specializing in social media marketing, she is experienced and covers everything from user experience to covering the basics of PPC services.